UDU loans is a financial service loan provider that offers long term loans to its clients all across South Africa. A long term loan is a loan that is typically paid over the period of 12 months and more according to the amount of the loan and the agreed upon time of repayment. Applying for a loan with UDU Loans is very simple and convenient. If you are looking for a loan from them you can simply email them, upload them or visit them. The company provides a platform where you can literally “Do it yourself” from the application process all the way down to the repayment process. You will be in control from beginning to end. Choose a loan from R4 000 to R150 000 with repayment periods ranging anything between 12 months and 60 months. It is important to note that a long term loan may or may not require some form of collateral on your end depending on the arrangement decided upon. Collateral can be anything from a house, car, or even your business. That is something to keep in mind when pursuing a long term loan. Always make sure that you repay your instalment on time every month in order to avoid any penalties and to keep a healthy credit score. You are free to do whatever your heart desires with the loan amount that will be granted to you. The money is to be used at your free will to attend to the financial needs that you need to solve. UDU loans aims to bring financial relief to your life. Apply online within 5 minutes. Saving you time and bringing convenience to your fingertips. An instant decision will be made from your application and you will know whether you qualify for a loan or not. 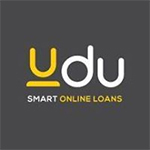 UDU loans are funded by RedDirect which is an authorised credit provider in collaboration with DirectAxis.